This is one powder which i make for me, since maha has grown up, i have started using this for her too..But she is not allowing me to apply this on face, so i am just using this as a body wash powder for her....This has so many herbs which is actually good for your skin, using this continuously will improve your baby skin complextion and makes it extra soft and smooth. I added thetti poo in this, you can leave it if you dont have that..To know more about that, check this link.. This powder is for grown up toddlers above 2 years. 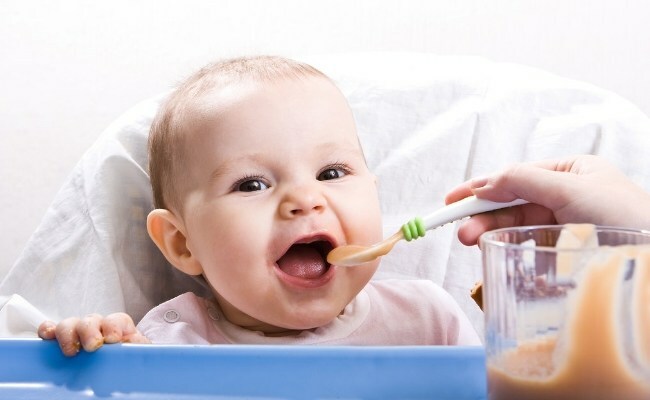 If you want baby powder, then just use green gram, thetti poo and rose petals for babies under 2 years..
Hope you will try this out..
Take all the stuffs in a plate, dry inside house for 3 days. Then dry it under sun for one day. Take it in a blender and powder finely. Store in a air tight container.. When using take a spoonful, mix with water and apply on face and body..Adults can leave it on their face for 30 mins till it is completely dry, then scrub it and wash well.. This is how you have to make it.. This is thetti poovu .It makes skin soft and increase complextion..
Store in a air tight container..When using take a spoonful, mix with water and apply on face and body..Adults can leave it on their face for 30 mins till it is completely dry, then scrub it and wash well..
Hi Aarthi..whatvis theti pavooo..from where i can get this??? 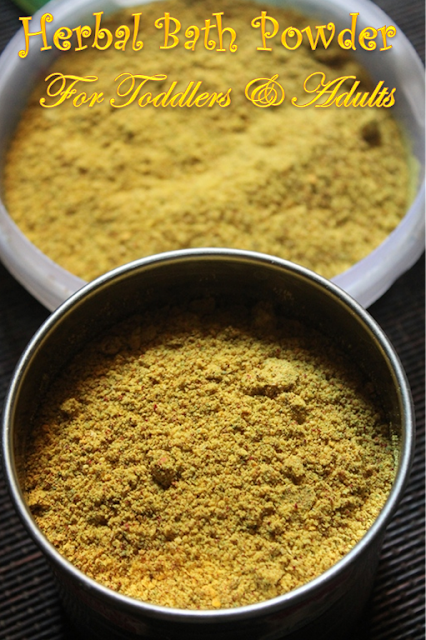 Hi Aarthi, I m planning to try this powder for my 14 months old son. Where do we get thetti poo in US. I have tried to Google ,not able to find it. Can I use this for my 2 and half year old son ??? Is t oki for boys ?? If we don't get theeti poo...than what we can replace it with...thank you for the beauty tips. Wow!! Super!! One doubt.. Is that poo the one we call idli poo? Hi mam .. I regularly read ur blog and tried many dishes came out very well .. Where can we get thetti poo ?? And can it be ground in mixie itself ?? Ravinder..Not sure where you can get it, in my place it is available in all the places. You can leave it, if you dont find it. This is not suggested for boys. But if you want to use for them, skip the turmeric. Unknown..You can grind it in mixie..
Hello, thanks for sharing. I would like to know if we use this mix is it enough or should we even use baby soap after this during each bath. So creative mind. Hats off to you. Thanks for sharing. For a one year old how long do we allow it to sit on the body before washing off? And is this just enough, I mean we need not use soap after this. Why are there so many comments about using this concoction to lighten their baby's skin colour? What is wrong with brown skin colour? Those that have commented about lightening their baby's skin colour should really be ashamed of yourselves. Hi can I use dis for my 4 yr old daughter ?Nd should it be applied only on d face for her? Nd can I use dis concoction for my husband as well? Hi can I use dis concoction for my 4 yr old daughter? Nd should I use dis concoction only on d face for her? How many times in a week can I apply dis? Aarthi where do I get thetti poo...please let me know....can I use this for my 13 year old daughter. She had become very dark after playing in wonder la theme park. Please help me. U can use this for your daughter. Thetti poo is cluster of flowers, it is normally seen in gardens. Hi Aarthi,this looks great! !is there any remedy for postpartum stretch marks? Hi aathi,this blog is very useful for me.my daughter is one year old.can I use this herbel powder for my baby. Can I use this powder for my 9 month old daughter? can I use this powder to my 9 month old daughter? Hi Aarthi..What can use for boys as herbal bath powder? 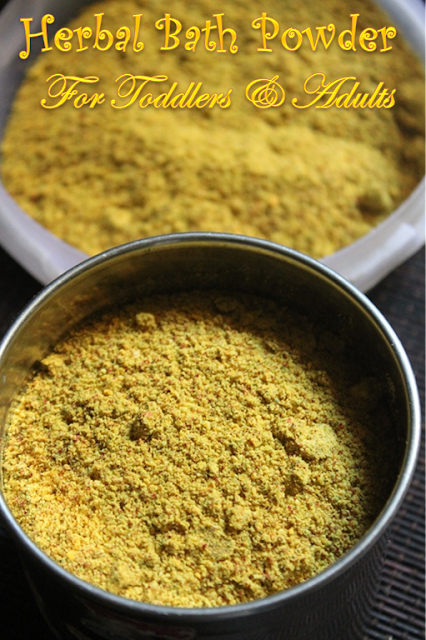 Hi Aarthi...What can I use for my 2 year old son as herbal bath powder? Can I add chana dal along with green grams for my eight months baby ??? Hi aarthi my baby's lip colour is very dark.... how can I improve it??? Please do suggest me. .. she is 18 months old...Thank you.